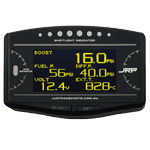 In this section you will find our range of different performance gauge systems, everything from our extremely popular multi gauge system, 14point7’s unique iDash system to standard 52mm & 60mm digital & stepper gauges. 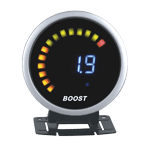 One of our main aims is to provide a range a gauge systems that are outside of the norm, there are more than enough standard single gauges on the market and while we do stock some, our main aim is to provide people with innovative multi gauge solutions, units that can handle multiple sensor inputs and display those in a compact and functional fashion. 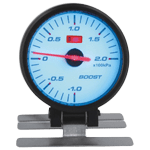 So why are we also stocking standard gauges you may ask, well there is still a market for those too, and there is a ton of junk gauges out there now or the ones we know are going to be good cost an arm and leg, it’s hard to justify paying $100 or more for a single gauge. The problem is with the cheaper gauges it’s really like playing lotto, the sensor quality on some of the cheaper gauges can be shocking. 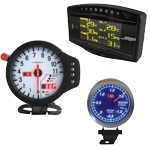 So what we have done is partner with a factory that not only makes good looking and reliable gauges, the sensors they supply are also great quality yet don’t cost a fortune. 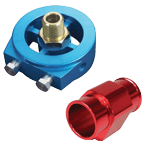 All of the gauges we stock we have personally tested their sensor quality before offering them for sale. One of the most important things from a gauge is how accurate the sensors are, a lot of people just buy a gauge off looks, and we can understand that does have a lot to do with their selection, so we have taken the guess work out of buying a gauge, we make sure the sensors are good quality, so you know whatever you buy from us the sensors will be good.